DAILYKENN.com --Imagine a restaurant being banned from opening at an airport because the owners object to MAGA hats, the American flag, or people who wear green pajamas. That is essentially the logic used to bat Chick-fil-A from the airport in San Antonio, Texas. Airport decision makers seem to feel the restaurant's failure to endear itself to the homosexual phenomena is cause for exclusion. And who sets the criteria for what constitutes offensive corporate policies that justify banning? And how do they documents and validate those alleged offenses? Are there laws that specify what corporate policies cross the line into the sphere of offense? Who is allowed to be offended and who is not allowed? When the moonbat left regains control of Washington, will Chick-fil-A be banned from all airports? What other "social justice" offenses will justify banishment? What other punitive prohibitions will jurisdictions mete out to to Chick-fil-A? Will they refuse to grant business licenses within a given jurisdiction due to a perceived policy that offends the sensitivity of moonbats who govern that jurisdiction? What other businesses will face abject discrimination from the left? If governments can ban corporations for perceived social justice offenses, can they also ban individuals for those same offenses? Can they ban individuals who disapprove of the homosexual lifestyle from entering the airport? From attending government schools? From running for office? 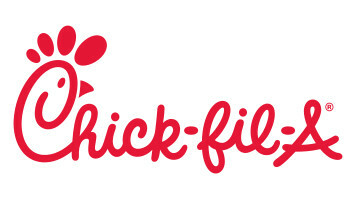 It seems to me that the banning of Chick-fil-A is 21-century Jim Crow when people are banned because they are not liked. I wonder if Starbucks will be banned for its cool reception to gun owners. On Thursday, six members of the San Antonio City Council rejected the inclusion of Chick-fil-A from the new Food, Beverage and Retail Prime Concession Agreement for the airport, KTSA reports. The seven-year contract for concession management at the terminal is expected to create $2.1 million in revenue for the Texas city; the motion that passed gave the green light to food shops including Smoke Shack and Local Coffee.